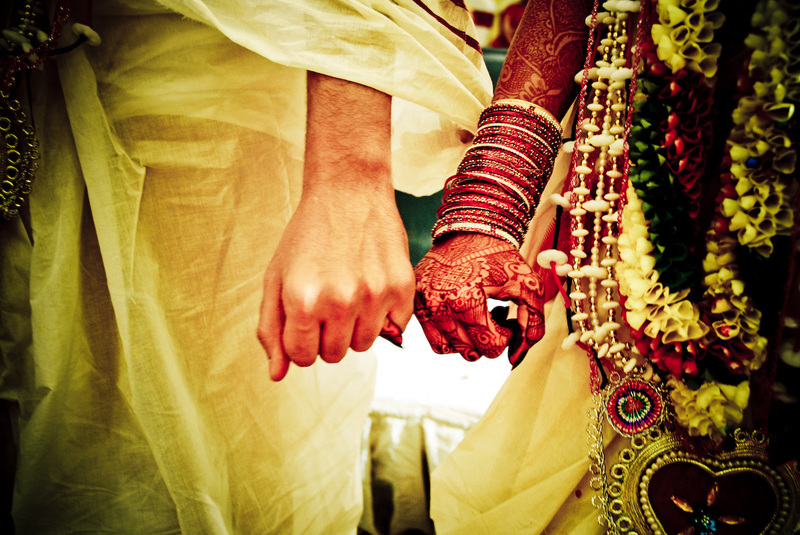 While the western world struggles with drawing a balance between lifestyle, expectations and holding on to relationships, Indian marriages have been able to build themselves on a foundation which somehow tends to ensure sustainability and long-term endurance. 1. As orthodox as it may sound, many people believe that arranged marriages last longer than love marriages. From a wider perspective, the Indian matrimonial system has been a lot more open to love marriages in the recent decade but yet stick to the belief that an arranged marriage has more chances of success simply because it is believed that love is one of many factors that make a successful factor. The Indian system focuses more on sacrifice, communication and minimal expectation out of your partner. In some cases it is easier to follow through with these qualities in an arranged set up. 2. It is a popular saying, that in an Indian wedding, it is not only the bride and the groom that are getting married but also the families. The strong involvement of both families and the relationships that built herewith prove to be of great strength through the marriage of any couple. There is always the constant support of all the parents and siblings through your marital life which prevents you from making any kind of bad judgments and also thus making sure your marriage does not dwindle at any point. 3. Another major influencing factor in the success of an Indian Manglik marriage is the fact that most matrimonial unions do not allow inter-cast marriages. This may again sound very orthodox, but in the long run your upbringing, familiar background, and even ethnicity play a significant role in building your ideas, attitudes and belief systems. Marrying someone from a similar background ensures that you and your partner have similar ideologies which make your marriage and decision making in life extremely easy and harmonious. One will notice that several marriages tend to break because of this very same reason. In addition to this, Indian Manglik Marriage also encourage brides and grooms to marry into the same financial strata or profession further minimizing the gap of any differences that may occur. Marrying into the same financial strata ensures that expectations out the lifestyle stay consistent and no couple is under any kind of pressure to make the other person materialistically happy. When you think about it, our ancestors have been able to design an extremely practical system for marriage thus ensuring a lifetime of happiness and bliss. Our ancestors have been able to take into consideration all the facets of a successful marriage and present to the world, a mantra of eternal joy!